I have discussed midfoot posting and arch support many times on various shoe reviews. I thought I would finally write a full post on it as I have received many questions about this in the last few weeks. When it comes to support, much of the running shoe industry focuses on stabilization of the midfoot and sometimes the heel. This is traditionally done with posting, or denser foam material meant to slow the inward roll (pronation) of the foot during loading response. Some may use wedges, which generally holds the foot in a static position of eversion or inversion, but that is rare and usually only utilized in orthotics or add-ons. Darker colored midsole of the NB 1500v1 is the midfoot posting. Joint wise this may be due to a either excessive mobility or a compensation. Most shoe companies assume the first and are usually unaware of the second (that's my job to deal with). Frequently midfoot posting can assist with stabilizing hypermobile distal tarsal and proximal metatarsal joints, especially the talonavicular joint. 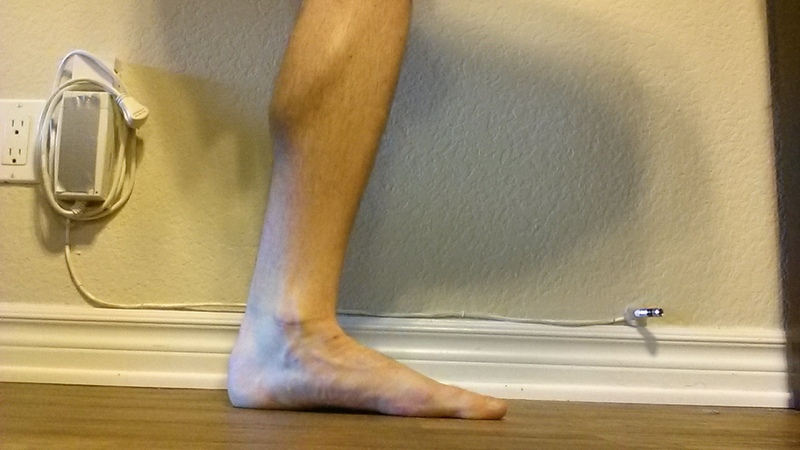 Muscle wise, midfoot posting is meant to assist or do the job of the posterior tibialis. This is a somewhat gross simplication of the interplay of the many different muscles in the foot, ankle and lower extremity that are responsible for stabilization of the foot/ankle complex (not including the stabilization from further up the chain). However for the sake of not writing a book during this post, we will focus on the contribution of the posterior tibialis. The posterior tibialis acts to invert the foot and plantarflex the ankle. While it technically is not known for being the sole muscle for creating supination, as that is a combination of three motions (inversion, plantarflexion and adduction), the posterior tibilias is a major contributor. Functionally the posterior tibialis assists in eccentrically controlling pronation during the loading phase and assisting with supination during the propulsive phase. 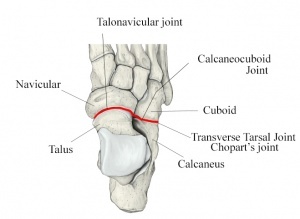 It originates higher on the tibia and fibula and inserts primarily onto the navicular bone. There is no agreed upon measure to determine "overpronation" dynamically. Static tests include the navicular drop test, but as for an exact measure during movement (always more telling of injury risk) nothing has been set. The posterior tibialis along with a few other muscles (abductor hallucis, foot intrinsics) seek to control pronation, not stop it. Pronation is a very important method of shock absorption and important component of gait at the foot. When an individual lands (loading response phase of gait), pronation or medial collapse of the foot is meant to help with shock absorption and allows the muscles like the posterior tibialis to eccentrically (lengthen while tensioned) load these forces. When the individual moves forward and reaches the toe off phase of gait, the foot should resupinate to create a stable structure to push off from. Many people seem to think that the high arch rigid foot (pes cavus) is ideal and the "flat" collapsed arch (pes planus) is a major deficit. This is not necessarily true. We in the medical field spent many years (long before I was a clinician) believing the that excessive pronation and all things things had to be corrected. Thanks to some studies recently, we are not longer certain of the fact. Dr. Benno Nigg has done some great work summarizing the current research, stating that pronation is not necessarily associated with injury risk and in many cases can be preventative of it (Nigg et al., 2015). A few other authors have also shown foot pronation not necessarily being associated with injury risk and individual biomechanics need to be taken into account (Nielsen, 2013). In fact, those with high and stiff arched feet (lacking pronation) seem to have more trouble, especially with stress fractures. This is something I have observed anecdotally but have seen some research that individuals with pes cavus may have increased risk for foot pain (Burns et al., 2005). My theory is that due to a lack of pronation and muscular shock absorption at the midfoot, there may be more pressure through the plantar fascia, ligaments and bones. So as with many things in life, a middle ground is best. You want some pronation because it is a method of shock absorption! I'm sure you do not want too much though as that theoretically wastes energy due to more time spent on the ground, great joint excursion and many other possible factors. So given that pronation itself is not bad, it is more important to look at movement quality, strength and mobility of the foot. Hence my focus more on the posterior tibialis for excessive and uncontrolled pronation at the mid or rearfoot (there will be another full post on heel and rearfoot posting). Given that pronation is a very important method of shock absorption, it is important that you have good control over it. That is where the strength and controlled flexibility of the posterior tibialis comes into play. 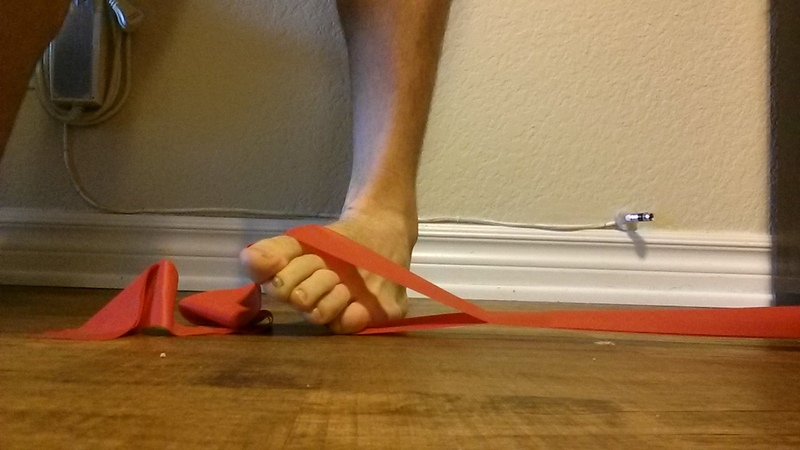 The Short Foot exercise for arch and posterior tibialis strength. Do not lift your toes as I am doing in the photo. That is a common compensation for fibularis longus weakness by the toe extensors. I have previously done a full post on ankle/foot stability that I highly suggest you read HERE. 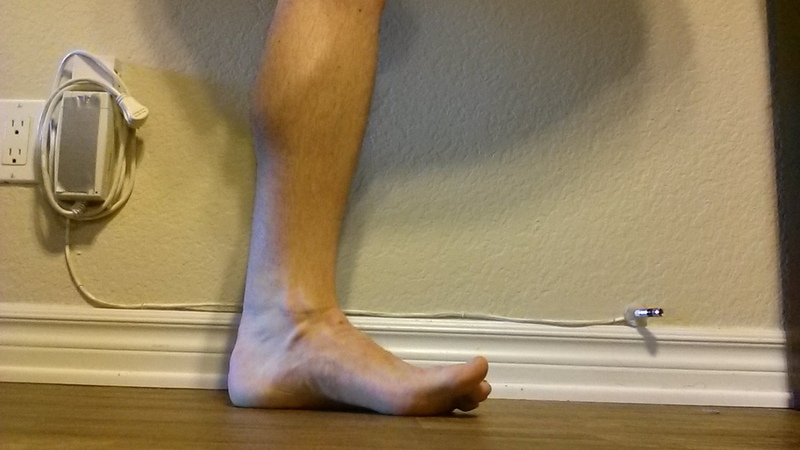 The Short Foot exercise (above) is one of my favorites to train arch strength. I generally have my patients start sitting down going through the full range of motion (unless there is a true instability. That I do more long holds with). Therabands and single leg balance training are also great methods for training (including theraband inversions in standing as seen below). Muscles like the posterior tibialis must be strong and have high endurance, so once strength is down it is important to move to high repetitions in single leg stance (eventually). 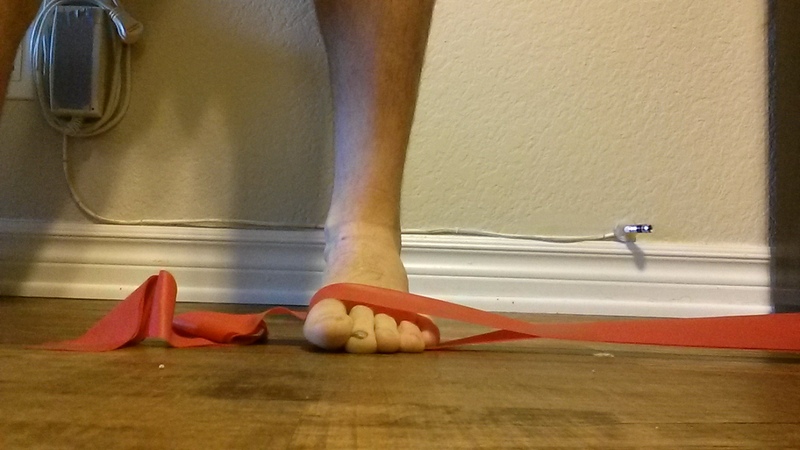 Theraband Inversions in standing for functional psoterior tibialis strength. The weight bearing component trains the muscle functionally and may increase muscle activation. Again focus on going through the entire motion both ways with control. So now that I threw a few wrenches in the traditional thinking of pronation, what do we do about that midfoot posting? Knowing that arch supports may also not be valid for injury prevention except in individual cases, should we even use them? Yes. What I found over the years and what a great deal of research has shown is that comfort is very important for shoe selection. For some people, midfoot posting is very comfortable. Whether that is because they are actually being supported in the midfoot or if they are simply getting additional proprioceptive input into the foot that helps activate the muscular system for those individuals. We are not totally sure. My biggest suggestion would be that if you find that posting is comfortable for you, go for it. Skechers GOrun Forza. Extensive post size on the medial foot that is actually not extremely stiff. This ends up supporting the foot nicely throughout the gait cycle in more of a guiding fashion. I typically think of midfoot posting more for muscle support. If you have a very weak posterior tibialis, then I might suggest a shoe with posting while you work on your strength. If you have had posterior tibialis or ankle stabilizer issues, perhaps training in a posted shoe might work for you. The amount of posting is usually variable between companies. Some companies will have a huge block of discolored foam at the midfoot and heel while others will only have a small slip in the midfoot. How much true midfoot support that actually translates to depends on the difference in density between the second density foam and the rest of the foam in the midsole. Some of those huge blocks may feel minor while others may seem major. That is why it is extremely important to try these shoes on before deciding to buy them (like all shoes). Du to human variability, different people will react differently to shoe designs. This is why I think Simon Bartold, Benno Nigg and more great researchers and clinicians are on the right path moving away from the current concepts of footwear design and moving more toward an individual's preferred motion pathway (more on that in the future). (Image from runnerclick.com) The Brooks Beast. 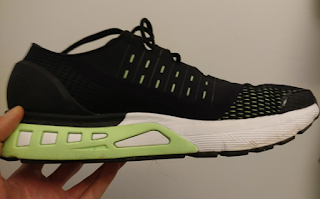 A motion control (high support) shoe. Usually not necessary. Do I think people need massively posted shoes like the Brooks Beast? No. I think mild to moderate posting will do well for the majority of people. Motion control (high support) shoes tend to be very bulky, stiff and limiting for the foot. Some people with foot deformities, extreme weakness due to neurologic conditions and a few others may benefit from a shoe like this. The majority of the public will do fine in a neutral to moderate support shoe depending on biomechanics. It drives me crazy to see otherwise healthy individuals wearing these kind of shoes when they do not have weakness or major issue. Although to be fair, if it is comfortable and they are not having any issues.... then I guess they can go for it. (Image from Solereview.com). 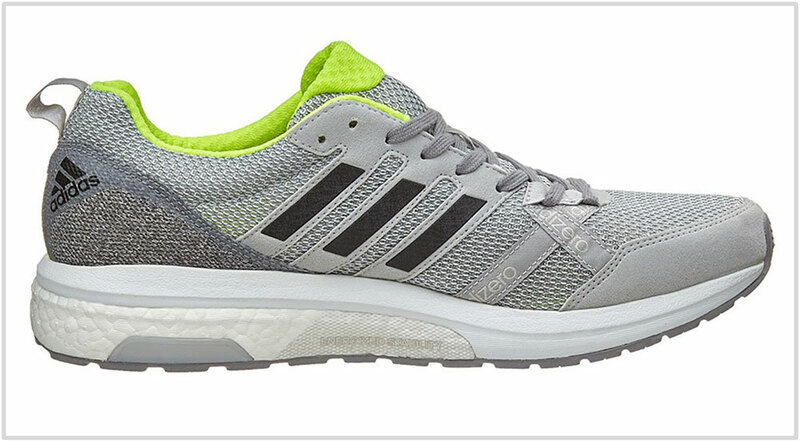 Mild posting in the midfoot transitioning into the forefoot of the Adidas Tempo 9. Review soon. I occasionally hear from some runners is that extra stability is bad. Almost like a badge of shame. I do not know if this is left over from the minimalist movement, but this could not be farther from the truth. Contrary to what I may have been suggesting previously, a little bit of posting usually won't hurt you. In fact most people could use a little bit as they start to fatigue over longer distances to possibly decrease compensations elsewhere (as long as the posting does not cause discomfort). As I said, a normal amount of pronation is good. Excessive amounts of anything may not be. For some of my runners, I suggest using a shoe with light stability on recovery days to give some of their muscles a chance to recover. This will not make them "lazy" as most people seem to think. A little stability may work like a recovery day in a sense. Especially during a rehab phase where the muscle is still not at 100% and the athlete needs to get back to training, a middle ground may need to be reached. Some may do well with very light stability, while others may go for more traditional moderate posting. 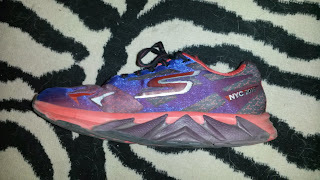 Light Stability Shoe Examples: Brooks Asteria (REVIEW, technically there is rearfoot posting here), New Balance 1500, Asics DS Trainer, New Balance Vazee Prism, Adidas Tempo (review on v9 soon), Brooks Purecadence, Mizuno Catalyst, Nike Lunarglide (debatable due to the excessively soft ride), Saucony Fastwitch (REVIEW). 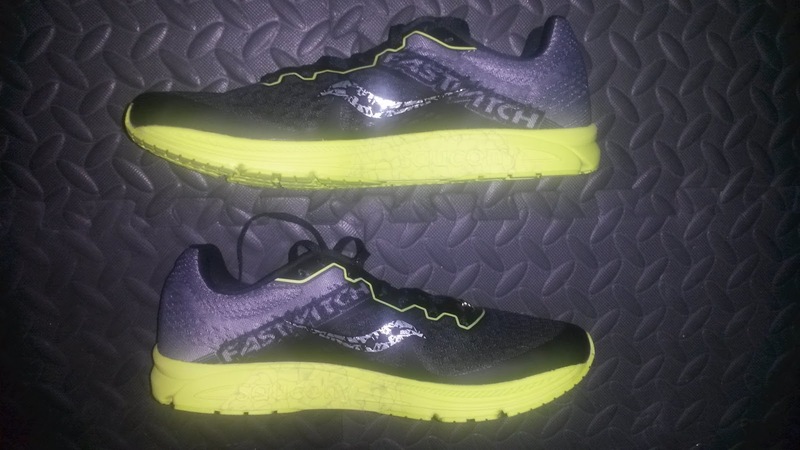 Saucony Fastwitch 8. 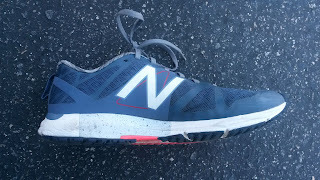 Mild stability racing shoe. Individuals who truly supinate during loading response are extremely rare. Most people seem to assume that supination means they land on the outside of their foot. That is not supination. That is landing in an inverted foot position. Almost all these individual usually then pronate inwards. For those however that do excessively supinate during loading response or early to mid stance phase (supination during late stance to toe off is normal), particularly at the midfoot, posting may not be the best. Excessive stability may push these individuals more towards the outside of the foot. This is already a problem as the lateral structures of the foot are not great for resisting the excessive forces during loading response. This is why pronation is important as the medial structures are much tougher and better at handling these forces. This is also one of the reasons why lateral ankle sprains are more common than medial ankle sprains. The deltoid ligament on the medial side of the foot is EXTREMELY strong and made for this sort of thing. The lateral ankle ligaments are not. Image from www.physiotherapiststralee.ie . Remember that pronation and supination describe MOTION, not static positions. A carbon fiber plates increases stiffness in the midfoot, somewhat but not totally offsetting the effects of the very narrow midfoot. 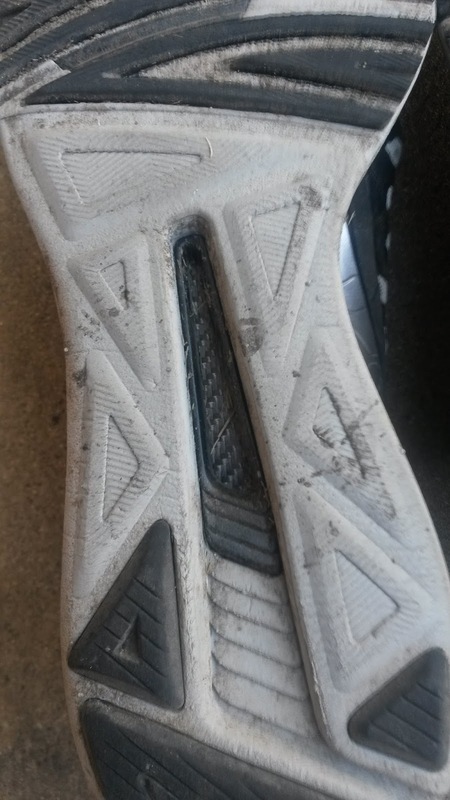 If you are looking for midfoot stability, shoes with aggressively curved lasts and arch cut outs are something you should avoid in my opinion. I have not seen a great deal of discussion on this but it has been something I have experienced both with my patients and personally. You may see that I frequently harp on companies that either have very narrow midfoot areas or split soles (lack of full ground contact). This goes back to what I have said many times, that stability can be done in many ways other than posting. Sole width, sole firmness, upper support, heel counters, rockered soles, etc all affect this. Sole width is a big one. A lack of sole width in the midfoot means an inherently unstable base. Thus if you do pronate, there is no shoe there to stop you, so you may collapse more than normal (theoretical). For short distances or races you may be fine. For training I typically move my patients and clients away from this design for the above reasons. For those with high arches or rigid feet, you may be fine. A variant of midfoot posting as seen via an integrated second density material in the Under Armour Europa (Review from Nathaniel). The same principles mentioned above still apply despite the different look. So for those with either weakness of the posterior tibialis or some excessive midfoot mobility (more on that in another post), some midfoot posting in your shoes may assist with stabilizing your foot. However, it should be known that there is little to no research suggesting pronation causes injury. In fact, some have suggested that it may even be preventative (Nigg et al., 2015). So once again, know that posting should be there to assist the foot but not to replace the muscular function. Do not forget to use and strengthen what you already have. That being said a little stability doesn't usually hurt, so if you feel you need some, don't be afraid to try a mild to moderate stability shoe. Comfort is usually key in injury prevention, so let that be your guide. If a shoe fits really well and feels stable to you (not your friend or teammate), then give it a shot. Burns, J., Crosbie, J., Hunt, A., Ouvrier, R. (2004). The effect of pes cavus on foot pain and plantar pressure. Clinical Biomechanics, 20(9): 877-882. Lynn., S., Padilla, R., Tsang, K. (2012). Differences in Static and Dynamic Balance Task Performance After 4 weeks of intrinsic foot muscle training: the Short Foot Exercise Veruss the Towel Curl Exercise. Journal of Sport Rehabilitation, 21: 327-333. Nielsen, RO. (2013). Foot Pronation is not associated with increased injury risk in novice runners weaing a neutral shoe: a 1-year prospective cohort study. British Journal of Sports Medicine, 61(4). Nigg, B., Baltich, J., Hoerzer, S., Enders, H. (2015). Running shoes and running injuries: mythbusting and a proposal for two new paradigms: 'preferred movement path' and 'comfort filter'. British Journal of Sports Medicine, 49(20). Nigg, B., Morlock, M. (1987). The influence of the lateral heel flare on pronation and impact forces. Medicine and Science in Sports and Exercise, 19(3): 294-302.